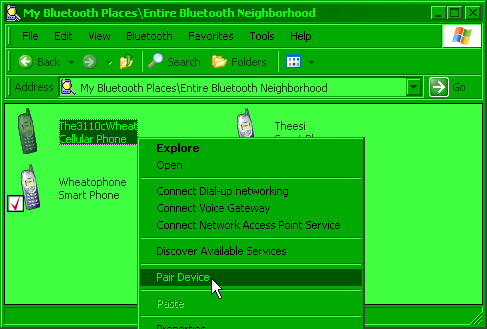 Configure phone as a Bluetooth modem. ….cool post brother…will give it a try…thnx. may tagalog version ba ng tutorial na to..? the window appeared and we try to dial the number indicated but still it cannot connect, we use the right phone and bluetooth devices, the phone and the computer already paired but still we cant connect to the net, the phone also have credits..
@masteredison what phone are you using? 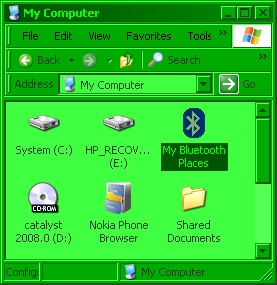 If it’s a Nokia you can try this post to follow directions of how to use Nokia’s PC Suite. 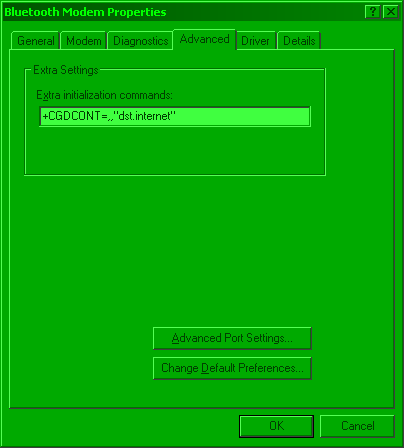 You can try using the optional setting of the extra initialization command, some devices need this. 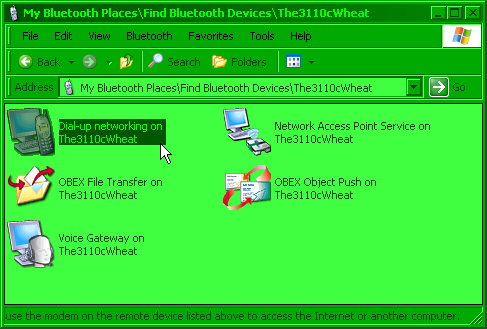 If not you need to ensure Bluetooth is enabled. 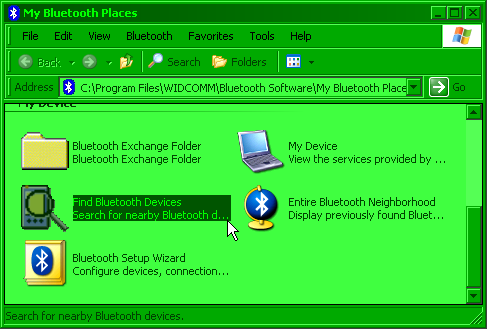 I found out that for my HP notebook, I need to keep the “My Bluetooth places” window open in order to connect via Bluetooth. 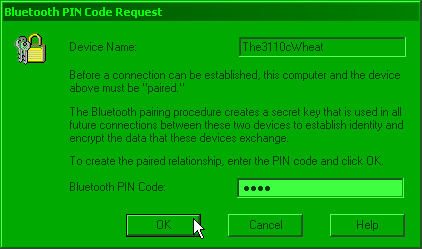 The phone also needs to support the Bluetooth Dial-Up Networking profile. 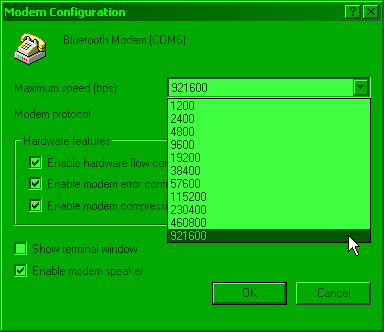 Last but not least, if you can get the phone’s Bluetooth modem drive you can try install it from “Add New Hardware” in the Control Panel. 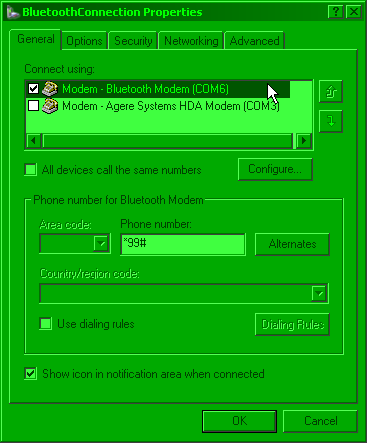 I was worried about configuring my blue tooth to use my NOKIA-3230 as modem.Then after looking for solution i got my way to use it.I want you to use my easy way with image description to connect to blue tooth modem.Search on google “nextech.byethost16 connect edge” you will find your way. Thanks, works perfectly with my nokia e63 (3 mobile network of Australia). and just let you know, in my case, the extra initialization part is not skippable. Im using nokia E65 & m havng trouble using it as a modem. 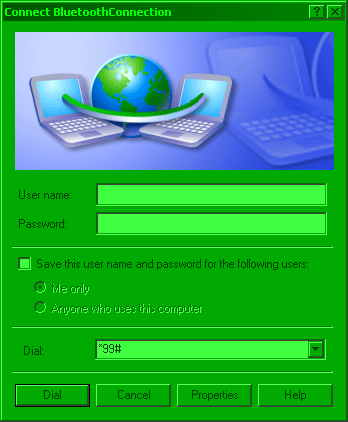 I hve pc suite bt i cnt seem 2 gt it olryt. Cn ù help? 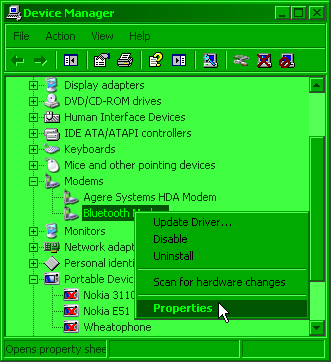 plz send me vodafone extra intialization command canect nokia 3110c to pc. Thank ye eh, senang rupanya, inda ku terklik menggunakan bluetooth, sekali cuba sekali klik lagi tu tarus mau. 3g modem bmobile atu inda kuat signal yang diterimanya di kuala lurah ani satu bar ganya kadang langsung nada bar made in china jua bah apa kan diharapkan, iatah memakai hp motorola, sekali atu full bar signalnya atu puas hatiku eh. how about the gprs setting for china mobile e71? You will need to check the settings and find which values are appropriate to put in. Look for mobile data / data / APN settings. Nice post. Thanks. it looks really great and very informative.. Keep posting. Final questn, do u know how to keep a stable connection when using our mobile as modem?cos played an online game with it n ping keeps spiking up and down and sometimes even i get disconnected but i was actualy stil connected to the internet.=/ n i use a mobile cable instead of bluetooth btw.